And there is no limited express train to Nara. So this Yamatoji Rapid Service is the fastest and best choice for accessing from Osaka. 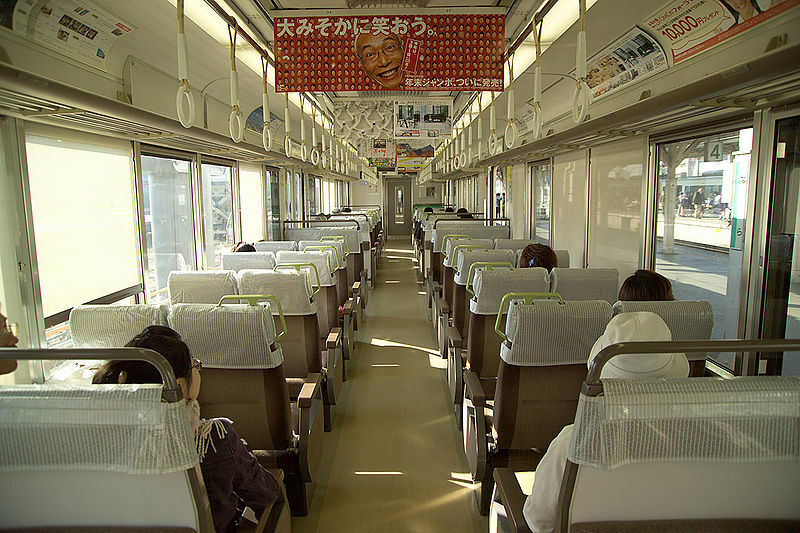 Most of trains are operated between Tennoji (=天王寺) and Nara (=奈良). In daytime, this Rapid Service is operated every 15-20 minutes between Tennoji and Nara, and every 30-40 minutes between Tennoji and Kamo (=加茂). Some of the trains extended to operate to Gojo (=五条) or Takada (=高田) on Wanakayama line (=和歌山線). This Rapid Service departs from Tennoji and goes on Osaka Kanjo line (=大阪環状線) via Tsuruhashi (=鶴橋) and Kyobashi (=京橋) to Osaka (=大阪). Then it still goes on Osaka Kanjo line to Tennoji via Nishikujo and Bentencho. After making one circle trip on Osaka Kanjo line, this train takes Kansai line (=関西本線) to Nara. Tennoji-(stop at all stations on Osaka Kanjo line via Tsuruhashi and Kyobashi)-Osaka-Nishikujo-Bnetencho-Taisho-Shinimamiya-Tennoji-Kuhoji_Oji… After stop at Oji, all trains stop at all stations. 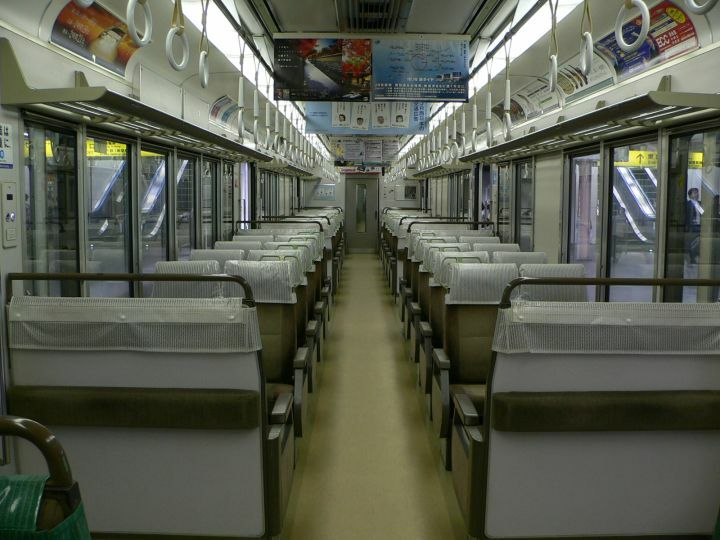 If you think about taking this train from Tsuruhashi or Kyobashi, don’t take this train. Take Osaka Kanjo line to Tennoji directly. (Opposite way to Osaka) Then take Yamatoji Rapid Service at Tennoji. It is much faster. Yamatoji Rapid Service is operated by 221 series. Hi, got a late flight touching down at Kansai 9:45pm, what are the options from there to Nara station? Seems tough, considering the time needed to check out of the immigration. If you miss this last train connections, there is no public transportations to get Nara. You have to take a taxi but taxi fare to Nara is 25,100 yen. Train fare is around only 1,500 yen. As long as your flight arrives on time, you can catch the last train. But it will be very tight in case of delay. If you want to avoid any risks, I recommend you to cancel hotels in Nara and find it near airport. Can I use Kansai area pass for Yamatoji Rapid service? Thank you! 1) from Osaka to Nagoya? 4) what time is the first departure on shinkasen from shin-osaka station? Thank you very much takeshi!! I also have another question, do JR PASS holders need to pass by JR office to get the shinkasen tickets for non reserved seats ? Same procedure for subway/train ? If you take non reserved seat, all you have to do is showing your pass at the ticket gate and proceed to the platform. It’s same procedure as taking a local train. By the way, JR Pass does not cover subway. I can go anywhere I want without a problem ? it’s better to get an IC CARD over this 72h subway pass ? I cannot say which one is better, IC card or subway pass. It depends on how much you use it. I’m traveling to Nara from Shin-Osaka station with a JR pass. Do I use the JR pass from Shin-Osaka to Tennoji then switch to Yomatoji Line? Do I need to get off and transfer train at this point? Thanks. You need to change trains at either Osaka or Tennoji. There is no direct trains from Shin-Osaka to Nara. We’ll be staying in Shin-Osaka and would be visiting Nara. We’ll be getting the Kansai Wide Area Pass. According to JP website it says that Rapid Services is included in the pass. Just like to confirm with you experts if this is true? and can we use “Yamatojil Rapid Service”? Yes. It covers all rapid trains. You can take Yamatoji rapid train. Rapid train is a sort of commute train. It’s not a special train. Thank you very much for your kind reply and assistance.